How often have you been stuck in an airport, or on a train, and decided to take advantage of the public Wi-Fi network? Do you choose restaurants or cafes based on their free Wi-Fi? Great. Now, answer this: What do you do on your smartphone or laptop when you connect? I know it’s none of my business, but if you aren’t protecting yourself, snoopers and cyber criminals may have a field day at your expense. Public Wi-Fi is everywhere. We all use it, but most of us are unaware of the risks and fail to take the necessary precautions to protect ourselves. Maimon is in the midst of a study into how we use public Wi-Fi networks. He has been visiting locations across Maryland, connecting to public Wi-Fi networks, and collecting data. There are three common avenues of attack to worry about with public Wi-Fi: man-in-the-middle attacks, malware, and Wi-Fi sniffing. Malware: Malware is even more dangerous, because it potentially gives an attacker access to everything on your device. 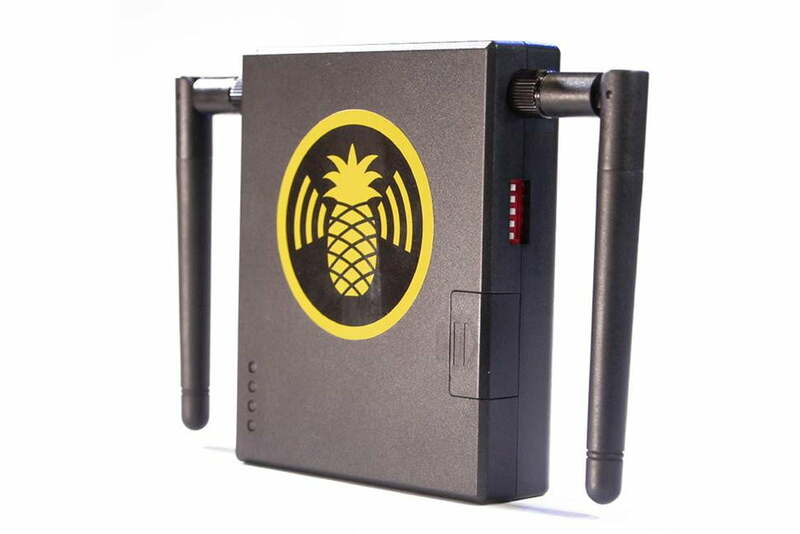 They can steal your files or photos, and even turn on cameras or microphones to eavesdrop. If the attacker can get your login info for a cloud service, for example, it’s easy for them to slip malware onto your device. Wi-Fi sniffing: The last method is known as Wi-Fi sniffing and it involves monitoring network traffic. Attackers record huge swathes of data as it travels across the network and then analyze it later to uncover useful details. Sadly, it’s not even illegal to sniff through packets a lot of the time. You might imagine that you’d need expensive specialist equipment or some kind of programming ability to monitor Wi-Fi and get your hands on other people’s information, but you don’t. Maimon uses the same tools that the hackers use and they are very easy to get your hands on. For man-in-the-middle attacks, you can buy devices online and operate them without being a computer science student. Unless you’re snooping yourself, there’s no way to tell if you’re being exposed on a public Wi-Fi network. There’s no easy way to detect sniffing or man-in-the-middle attacks. Remember, the apps on your phone may automatically transmit data in the background, as well. Follow our advice on how to limit your background data on iPhone or Android. You also have to make sure that you’re connecting to the right network. The next stage in Maimon’s research is to travel around public areas with his own unsecured Wi-Fi hotspot and see how many people connect and what they do. He has been surprised by how readily people will connect to networks that they know nothing about. You should also stop your devices from automatically connecting to public Wi-Fi whenever it’s available, just in case it connects to a dodgy network. Criminals will set up their own hotspots in busy areas, so always ask the café owner or someone who works at the location for the connection details to make sure you’re connecting to a legitimate network. If you’re willing to expend a little effort, there’s also another way to keep yourself safe. “A VPN service is the best way to go. All the information you transfer is protected, it’s like a tunnel that protects the data from attackers,” says Maimon. VPN stands for virtual private network, and there are many services out there that you can use with apps for smartphones and computers. Golden Frog is the company behind one of the most popular VPN services around: VyprVPN. If you’re using a VPN then snoopers engaging in Wi-Fi sniffing won’t be able to see what you’re up to. Stronger protocols like OpenVPN can also defeat man-in-the-middle attacks. But this protection comes at a price, and you should choose your service carefully. There have been a few scandals in the VPN space. Hola was found to be selling user’s bandwidth, though it’s not actually a VPN; it’s a proxy service. A Chinese provider called Terracotta was also recently exposed by RSA Research for selling stolen infrastructure access to hackers. A VPN service is the best protection you can employ if you’re going to use public Wi-Fi. If you’re concerned about privacy then you may raise an eyebrow at VPN services owned by the likes of Facebook and App Annie. Data analysis and sales is big money. You could be giving up more than you realize. If you plan on using public Wi-Fi without one, make sure that you’re connecting to the right network and don’t access anything sensitive, like your bank account. It’s simply not worth the risk.